What a year at the Kentucky Derby! American Pharoah, the first triple crown winner in 37 years, with Affirmed winning it all in 1978. 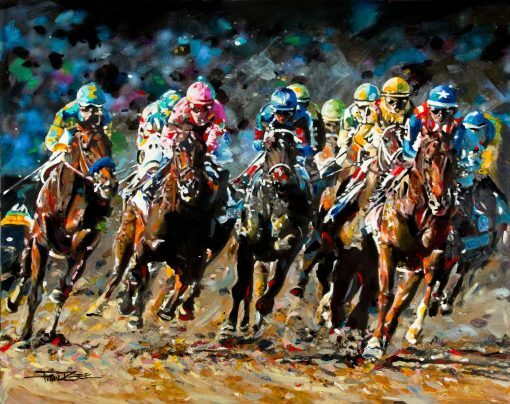 This painting is at the Kentucky Derby when American Pharoah, on the left, pulls out from the rest of the field to take command and goes on to win the race. I had fun painting this piece trying to capture the color, motion and thrill of the race!